Would a Different Street Design Have Prevented Timothy Erickson’s Death? 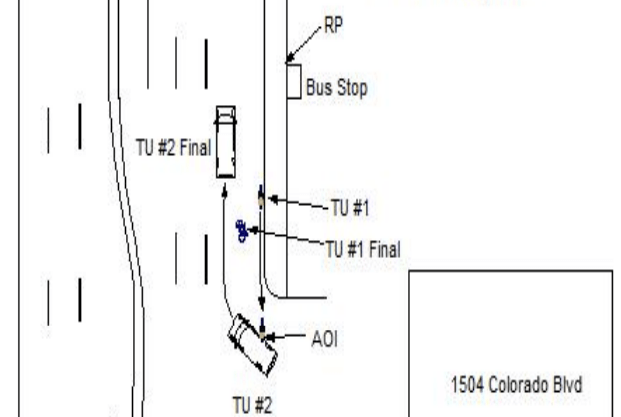 A diagram from the Denver Police Department’s police report depicts the crash. “AOI” stands for area of impact, “RP” represents the witness’s position, and TU #1 represents the bike rider killed. 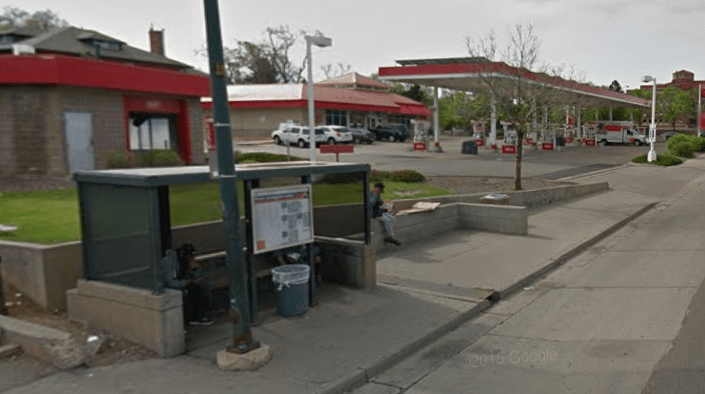 Some new information sheds a little more light on the crash that killed a Denver man riding his bike on Colorado Boulevard near Colfax Avenue on July 14. The victim’s name was Timothy Erickson and he would be 56 on Monday. Erickson was riding south on the wrong side of Colorado, near the sidewalk, as a driver pulled out of a gas station parking lot and struck him with the back part of his van, near the wheel well. The diagram above indicates that Erickson was either dragged or flung into the street. He was pronounced dead within the hour. Why Erickson would ride the wrong direction on such a busy street is a mystery. We don’t know because he can’t tell his story. But slivers of information from the police report weave a more nuanced narrative than “He broke the rules so he died,” as some commenters have framed it. The driver, who was traveling at “an unknown speed,” hit Erickson while merging back onto the street after leaving the gas station. Based on the diagram in the police report, though Erickson might have seen the van pulling out, he wasn’t able to stop in time. Police didn’t suspect Erickson of having taken drugs or alcohol, though the medical examiner’s autopsy report hasn’t been released yet. The driver was not suspected of drinking or taking drugs either, and was not tested. When Streetsblog Denver covered this crash a month ago, some readers blamed the bicyclist’s illegal behavior on his death. But what led to the illegal behavior? When streets are designed for people — not just cars — its users are safer and less likely to break the law. Of course individuals’ decisions play a part in traffic crashes, but those decisions are shaped by the street environment around them.